Women who innovate to make their community a healthier, happier place. 1. One outbreak halted. Dozens of lives saved. As our feet crunched through the dried mud I couldn’t help but admire Sarah’s determination. As she pointed out a whole swath of plants that would need to be destroyed because they had caught the blight, there was only a brisk business tone. As she spoke of how she had started out having to carry water from the river to water her farm by hand there was no hint of the back breaking reality that truly implied, just simple fact. She could have planted corn on this land and all it would need is rain, but then all she would have is 10 dollars per season. 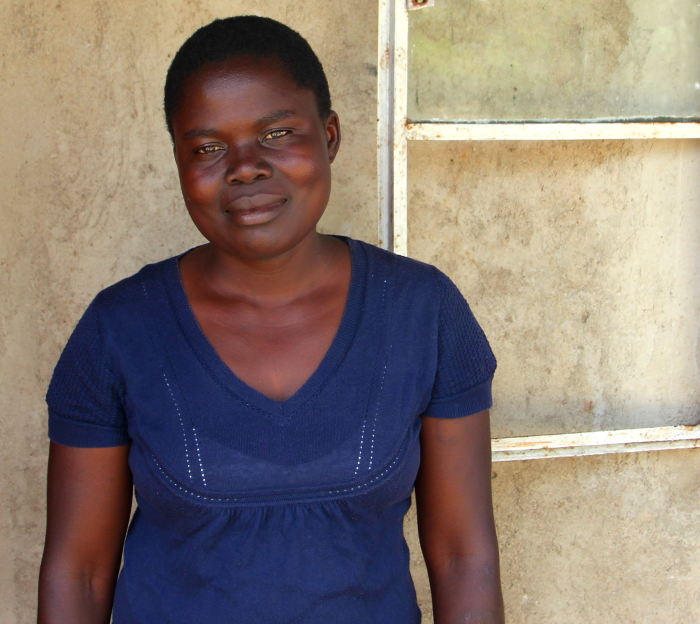 For kale she needed water every three days and that meant carrying water from the river, but kale would bring 12 dollars every month and that would keep her daughter and two sons in school. Simple math. Simple fact. I could just see her daughter past the last row of kale, home from school on holiday, preparing to go back in just one week. When I first arrived in Kenya a month ago one story took my breath away. Just a few weeks before I arrived there had been an outbreak of cholera in Obino. In areas like Obino village that are so far away from any health facility, the chances of seeing a doctor are slim to none, the chances of even seeing one of the government health volunteers is incredibly slim. And so when cholera strikes the people of Obina become fatalities long before they can see a doctor. By the time the government hears of an outbreak and mobilizes assistance, weeks have passed and more than a dozen people have died. In April thirty representatives were chosen from across 14 villages to attend a training with Mama Maji. Every representative volunteered knowing that they weren’t just going to be trained on the basics of water, health and sanitation, but that they would become volunteer trainers in their own community. Sarah had been chosen for Obino village. And as soon as she was done with her training with Mama Maji she was off! She organized trainings at churches, at the school, she even did trainings in a village outside her region. In just three months she had managed to train over 300 people. But a couple weeks ago she found herself in a different position. Volunteering at a local health fair, Sarah spoke to a woman about a man who had died the night before. The woman described the symptoms and Sarah recognized it instantly: cholera. It’s easy to dismiss that diagnosis when you come from a country that hasn’t had a case of cholera in almost 100 years. But in a region without access to doctors, clean water, or even basic sanitation a single case of cholera can devastate an entire village. After speaking with the woman, Sarah began her rounds, asking everyone she could find if anyone else in the community was sick. And she found them. Four more people were sick, one of which was a child only 8 years old. Sarah immediately called Erick, the program manager for the Chiga Community Water and Sanitation Program. With Erick’s support, Sarah mobilized the Kenyan Department of Public Health. Within a day the Department of Public Health sent ambulances out to Obino to rush the four sick people they found to a hospital in town while screening the rest of the village for illness. As I talked with Sarah about her experience she told me that as a kid she had dreamed of becoming a nurse, because nurses saved lives. But she had never reached that dream. She had to drop out of school because she couldn’t afford the fees. As we slowly started crunching our way back across the ground Sarah stopped and pointed to one patch of land that had been recently tilled. And, for the first time a big grin crossed her face.